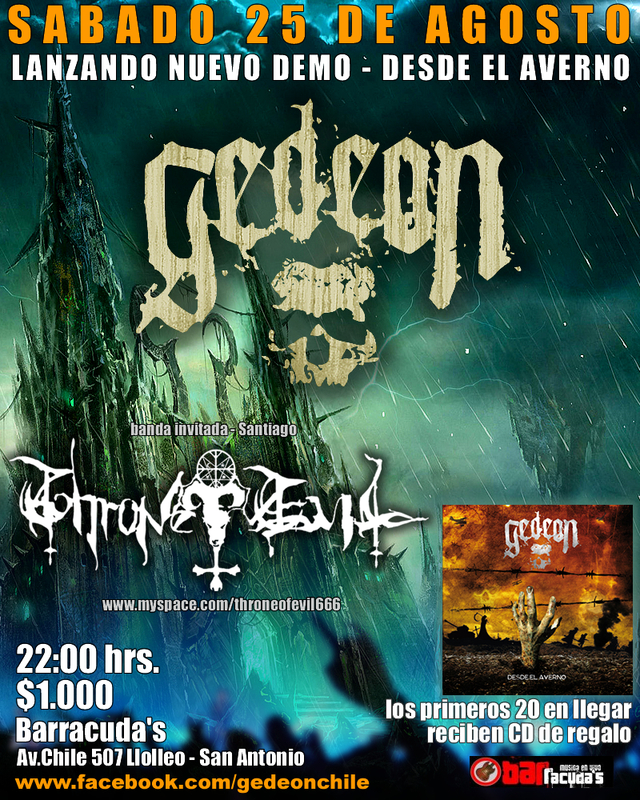 Chilean band Gedeon will be launching a new promotional demo on August 25th at the BarRacuda Bar in San Antonio, Chile. Titled "Desde El Averno," the five song demo is one of two projects the band has been working on simultaneously. Gedeon will be performing at the bar with Santiago band Throne Of Evil. Below is the cover art for "Desde El Averno," which will contain several tracks that the band has played live such as the title cut.